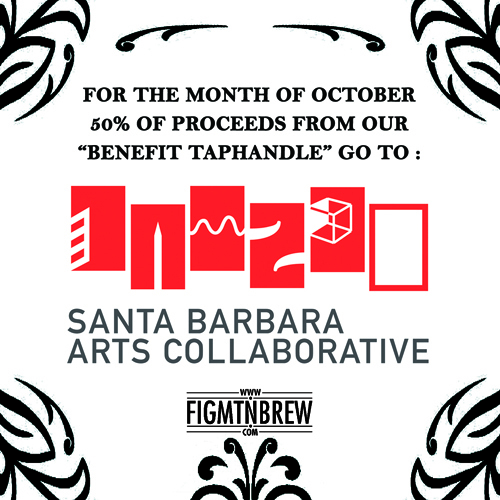 Each Wednesday for the entire month of October, Figueroa Mountain Brewing is going to give 50% of it’s “Benefit Tap” to the SBAC. You’re invited to get together this Wednesday at 7 to learn more about the upcoming Funk Zone Arts Fest, taking place on the 19th. It would be a real pleasure if you would join us this Wednesday at 7p to meet, greet, and help the Arts Collaborative raise some much needed funds.